Have you ever wondered why God would use us (imperfect and weak humans), to fulfill His divine purposes? I do! It seems to me if God wants something done, it would be faster, easier and more efficient if He did it himself. In the case of our passage today, when God wanted His people out of slavery in Egypt, He could snap his finger or say the word and it’s done! Why continue to give Moses pep talks and explain how things would go down and then wait for it to unfold? It’s a mystery but an undeniable biblical truth that God wants to use not only Moses, but you and me. We’ll see how God uses us and works in our lives in this chapter as well the normal ways we try to resist. In verse 1 we read, the Lord said to Moses: “See, I have made you as God to Pharaoh.” Moses was not only to represent God, but to be like or as God to Pharaoh. Shortly after World War II came to a close, Europe began picking up the pieces. Much of the Old Country had been ravaged by war and was in ruins. Perhaps the saddest sight of all was that of little orphaned children starving in the streets of those war-torn cities. Early one chilly morning an American soldier was making his way back to the barracks. As he turned the corner in his jeep, he spotted a little boy with his nose pressed to the window of a bakery. Inside, the baker was kneading dough for a fresh loaf of bread. The hungry boy stared in silence, with his nose pressed against the window, drooling and watching the baker’s every move. The soldier pulled his jeep to the curb, stopped, and got out. It’s been said, “You may be the only Jesus a person ever sees.” I think that’s true. As followers of Christ, it is an honor to be able to represent Christ to the world. Moses was to represent God, we are too. Moses was told to speak everything that God told him to speak and do everything that God told him to do. That was Moses job. How would Pharaoh respond? How do people in your life respond when you live for and serve God? Pharaoh responded like many of us respond to God; with hard heart. This is a controversial passage. It looks as if God is to blame for Pharaohs’ actions. What does this word “harden” mean? The Hebrew word “harden” is a figurative word which can mean “twisting as with a rope.” God was twisting or putting pressure the heart of this king of Egypt. He was going to squeeze out what was in his heart like someone who squeezes a wet towel. God would expose Pharaoh for what he truly was in his heart. God in His wonderful grace and longsuffering, gave Pharaoh an opportunity to obey the Lord, but he refused to listen. Few forms of judgment in this life are as severe as the judgment in which God lets us have our sinful way. God NEVER compels someone to be an unbeliever. His grace is for all, not a select few, but His grace can be resisted because we are given the choice to obey or reject the Lord. God’s grace is extended to all, but His grace can be resisted to the point where some won’t listen anymore. How is your heart? Are you willing to listen to God, follow Him and be used by Him, like Moses? Or are you more like Pharaoh, stuck and hardened in your ways? Pharaoh’s pride was like water poured on a bag of concrete. A man was driving down a bumpy country road when he saw a bag of cement beside the road. It appeared to have fallen off a delivery truck as it hit one of the bumps in the rough road. Being a person who did not like to see anything wasted, the man stopped to pick up the lost bag of cement. When he reached down to pick up this heavy bag, to his surprise, he discovered it was not soft and limber, as he had expected, but had solidified into an immovable piece of cement. Often our lives are like that bag of cement. They take on shapes that were not intended and become hardened in that shape. That bag of cement was meant to become a part of some beautiful, useful structure but, because it did not reach its place of service, because it was not used for its intended purpose, it became a useless rock in the form of a bag of cement. God wants to make something beautiful of our lives. Will we listen to God and be used by God to those around us? God has placed us on this planet for a purpose. We are to know Him, serve Him and serve others. This story has been attributed to the late Peter Marshall, former chaplain of the United States Senate. There was once an old man who lived high above an Austrian village along the eastern slopes of the Alps. He had been hired by the village council many years ago to clear away the debris from the pools of water up in the mountain crevices that fed the lovely stream flowing through their village. With faithful, silent regularity, he patrolled the hills, removed the leaves and branches, and wiped away the silt that would otherwise choke and contaminate the fresh flow of water. By and by, the village became a popular attraction for visitors. Graceful swans floated along the crystal clear stream; picnickers gathered along its banks; and the view of the water from local shops and cafes was picturesque beyond description. Years passed. One evening the council met for its semiannual meeting. As they reviewed the budget, they noticed a small amount that was being paid to the “keeper of the spring.” The village treasurer asked, “Who is this ‘keeper of the spring’? Why do we keep him on the payroll year after year? No one ever sees him. Have any of you ever met this man? For all we know, he is simply taking our money and doing us no good whatsoever. In my opinion, this person is no longer necessary.” Everyone agreed with the treasurer and the council voted unanimously to dismiss the old man. For several weeks, nothing much changed. The village went about with its business as usual. But by autumn, the trees began to shed their leaves. Small branches snapped off and fell into the pools that fed the stream, hindering the rushing flow of sparkling water. One afternoon, someone noticed a slight yellowish-brown tint in the water. A couple days later the water was much darker. Within another week or two, a slimy film covered sections of the water along the banks and a foul odor was soon detected. The swans left the village, as did the tourists. The economy of the village was in serious peril. Likewise was the health of the village, as many were getting sick from drinking the water. An emergency meeting of the village council was held. After much discussion, they realized their error in judgment and they hired back the old “keeper of the spring.” And within a few weeks, the beautiful stream came back to life. The swans and visitors gradually returned, as did the vitality and well-being of the little village in the Alps. What the “keeper of the spring” meant to the little village, we Christians mean to the world. Jesus called us “salt,” which is to say that we are “preservers” of what is good and true in the world. Like the old man in the mountains, we are called to serve and to be faithful. We may not get a lot of recognition or appreciation for our efforts, but we have the power to change the world. That’s what Jesus wants us to do. He put us here to serve and in a very real sense, the well-being of the whole world is dependent upon us. We do make a difference! Sources: Rod Mattoon, Mattoon’s Treasures – Treasures from Exodus, Volume 1, (Springfield, IL: Lincoln Land Baptist Church, n.d.), WORDsearch CROSS e-book, 133-143. 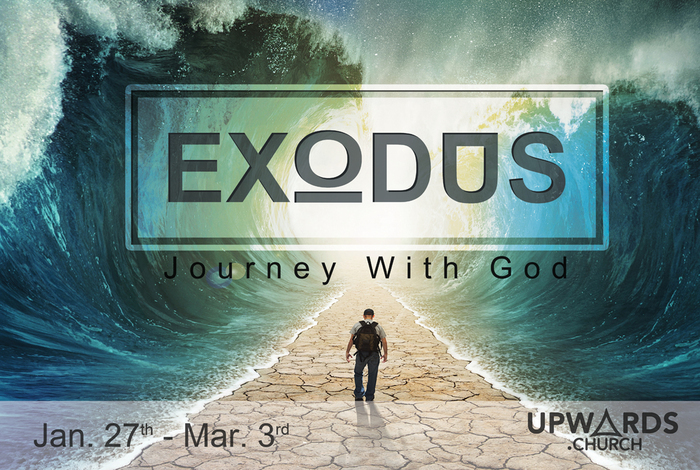 This entry was posted in Journey with God - Exodus and tagged Exodus, Exodus 7, Jesus, Moses, Pharaoh, purpose, serving. Bookmark the permalink.